Congrats to you and the others for the awards! :) Looking forward to that interview! And I'd rather be shooting zombies, too. Congrats on the awards, Alex. 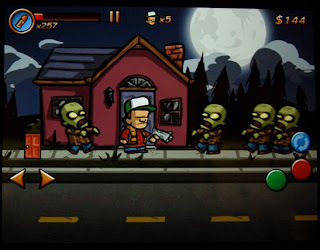 That zombie game looks awesome. I want to play! I don't play online games, unless you count Spider Solitaire on my computer, but I'm interested in games, since my son is getting his degree in Game Design (that and I wrote a book on Gaming). Dez, be sure you take time to breathe. And that's cool about the awards - your blog isn't designed that way. You're welcome, Karen. And I'm sure with an iPad you'd decide you like eBooks. Helen, I bet that required some research then. 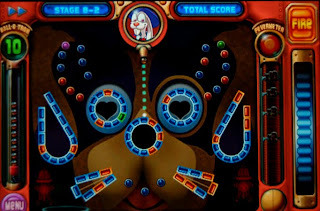 ooh i've recently started playing peggle. Have you played plants vs zombies? Falen, that is currently my game of choice! Well Alex I didn't create that award but thought you deserved it, a friend of mine gave it too me...lol...and yes shooting zombies would be fun! Shhh... don't tell anyone, Shannon! Awesome, congrats on the awards, Alex! And thanks for keeping us up to date on the iPad games. That zombie one looks addictive! The games look interesting. Congratulations on the awards. Good grief - you are piling on the awards ... kudos! Congratulations on your fabulous awards, Sir Alex! 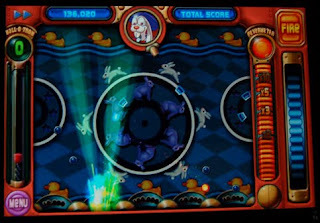 I don't know so much about shooting zombies but I have whiled away a few hours playing Peggle. :) Look for one called ... oh, it's in my head somewhere ... Bubble Town! Before I became a full time blogger (ha ha) that was my primary addiction! Beth, I will look for Bubble Town. Yes, Peggle is addictive. CONGRATS on your well deserved awards, Alex! That's right, Lola - big tech boys with toys! And the PacMan shelf was cool, especially as they had it eating the TV. I've tagged you this time in my space...please drop by and find time to rework on it! Your postings on the iPad are not helping the fact that I want one and have no help of getting one! Congrats on your awards! Thank you, Amity - I will drop by! Sorry, Melody. Expect more to come. I can't play games on the computer because I don't know when to quit. Carol, that is a problem! Thanks, Eric, I saw that! The iPad is probably great for games, with it's big screen and light weight. Have you played Doodle Jump? I refuse to play anymore because it's so addicting. I just downloaded the free version of Angry Birds and that one is addicting as well. I suggest you stay away from both those games if you want to get anything done. Helen, it is great for everything - big screen and incredible colors. Kierah, since I'm supposed to be writing, maybe I should! That's why I don't play these games. They're addictive and I'll waste even more of my time. Looking forward to your interview tomorrow. Congratulations on your awards! Well deserved, you are a supportive blogger.